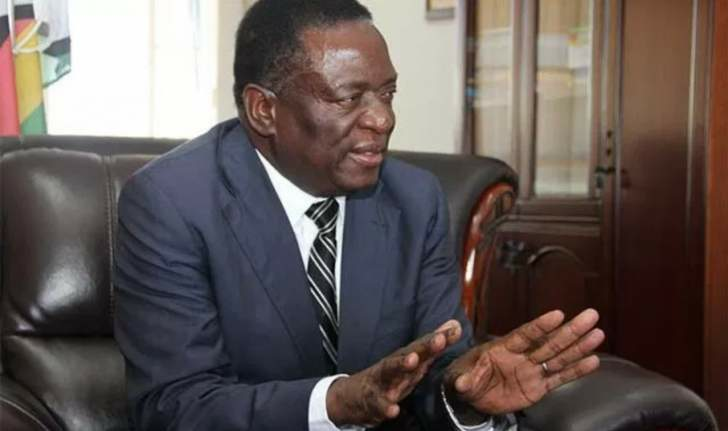 "In the regulations, gazetted on February 22, 2019, the first respondent (Mnangagwa) purported to amend section 44 of the RBZ Act, by addition of a new section 44 (c) that had the effect of the following; allowing and authorising the RBZ to use electronic cards, recognising that the RBZ had with effect from the effective date that is February 22, 2019 issued an electronic currency called RTGS$, that people's existing balances in their banks held the RTGS system as well as bond notes and were now to constitute a new currency known as the RTGS," Hamauswa said. "It is my respectful contention that the Act, that is the Presidential (Temporal Measures) Act, is unconstitutional. This Act gives the sweeping powers to the President of making laws virtually on every subject….what this means is that the President has sweeping powers to make laws that are above even laws that have been made by Parliament," he said. "For the purpose of this case, it is disheartening that the President has in fact amended the Act of Parliament; namely the RBZ Act. Surely that on its own is a breach of section 134 of the Constitution of Zimbabwe. "The Presidential Powers (Temporal Measures) Act is ultra vires the Constitution. The subsidiary legislation envisaged in section 134 cannot be delegated to President whose functions are defined in section 110 alone and in any event, the President acting in terms of the Act or any other law, does not have the power to override Parliament, through a legislative amendment or the making of a law that overrides existing law. I thus seek declarations to this effect." "It (RBZ) knew that people's US$ balances accumulated from time of dollarisation in 2009 were no longer in existence. Quite clearly, we have been taken for a ride, the respondents through and among other things deficit financing exhausted our US$ balances. To monetise the "theft" the third respondent created the RTGS account and later bond note," Hamauswa said. "In fact, as ECOGAD8 shows, the RTGS$ has been with us since May 2016. That the first respondent (Mnangagwa) now calls it a RTGS$ does not detract from the fact that de facto, and despite the vigorous denials by the third respondent (RBZ) in many court actions brought before this court, the RTGS$ and the bond note were a currency. "That currency had an exchange rate. So the creation of the RTGS$ was not a national urgency. Equally the partial floating of the action was also not urgent. This could have easily been done by an amendment of the exchange control regulations." "By issuing bond notes and RTGS currency at par with the US$ and then devaluing the same on February 20, 2019 the respondent has robbed us. Section 71 does not permit expropriation of people's property," he said. "The net effect is that the third respondent and indeed the first respondent have devalued the RTGS$ balances by 2,5. The RTGS$ must, therefore, be set aside on the basis that it is an infringement of section 71 of the Constitution of Zimbabwe."